Rust is one of the major factors that owners of vehicles often confront with reference to the body frame and the beauty of a vehicle. All vehicles, irrespective of their age, are prone to corrosion. Apart from being very ugly looking, it is a time-taking process to get the rust removed and set right the vehicle, besides being expensive to carry out repairs. 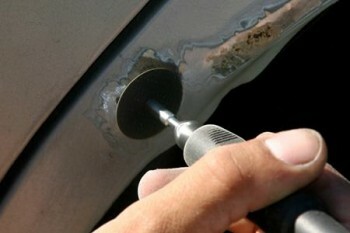 In some cases, the rust even diminishes the resale or overall value of the vehicle. All vehicles usually get corroded in certain specific areas of the body and therefore, one can focus attention on those areas and take steps to prevent accumulation of rust. Rust usually forms on a vehicle around the wheel arches, at the front portion of the car around the lower rim of the hood and the grill, at the rear of the car near the border of the trunk and near the edges of the door and ‘shuts’. However, if the vehicle is not properly maintained and car care is given the least priority, rust can accumulate in any area in the car wherever there is metal. It is always preferable to take preventive measures to avoid rust rather than putting in lot of effort to remove it later. The ideal method to prevent rust is to thoroughly wash the car regularly. Washing the vehicle takes out any pollutants deposited on the surface and prevents them from forming a layer that can result in corrosion. It also eliminates any accumulations of impurities on the dented portions of paintwork such as cuts and scratches, which if not washed can also get corroded. A superior quality wax based material should be used for washing as this will offer a good protection to the surface in between washing. While washing, the whole vehicle should be completely cleaned covering the entire exterior of the vehicle keeping in mind those areas, such as wheel arches, hood rims and grill, rear of the car and the door shuts, which normally get rusted. Another method to prevent corrosion is to thoroughly polish and apply wax after washing periodically Washing and applying wax after cleaning creates a smooth finish, which helps retention of paintwork as well as offering protection to the surface by not allowing any impurities to firmly settle on it. There are special types of waxes and sealants that offer long term protection, thereby avoiding frequent polishing. A car that is polished and waxed or sealed twice a year is less likely to be affected by corrosion than a car which has neither been washed nor polished and waxed and more protection, though better upkeep of paintwork means better protection from rust. In a way, “paint protection film” is an excellent method of protecting car from rust as it prevents cuts and scratches from damaging the paintwork that can easily form into rust, if not treated in time. These films are totally transparent and cannot be noticed easily after they have been applied. Paint protection films are generally applied to those places on surface of the car that is likely to get damaged due to stone chips. These parts include the front portions, lower side ‘skirts’ and around the wheel arches of a car, particularly ‘flared wheel arches’. ‘Bonnet bras’ will also serve the same purpose as paint protection films. However, being made of thick material, they may appear somewhat odd; nevertheless, they properly protect the hood and front of the vehicle against any damage and are comparatively less costly than paint protection film. If corrosion has already set in on some parts of the vehicle, the portions of rust can be ground to take it out to the extent possible and then coated with an appropriate anti-rust substance. This durable substance seals the metal through a chemical reaction and arrests any remaining rust particles from accumulating. These portions can then be touched up with an identical paint to cover up the areas affected by rust. It is essential to keep the adjoining area clean and free from impurities. It is preferable to park the car in a garage or under a car shade as this will largely decrease the chances of formation of rust as it is not exposed to the elements of nature. If this is not possible, the next best option is to cover the car with a superior quality waterproof and airy car cover so that the car remains dry and free from dust and other impurities. Are you looking for ways to get the best deal from buying a used car? 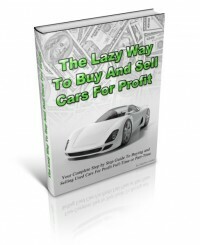 If you are, check out The Lazy Way To Buy & Sell Car For Profit by Stephen Hobbs ebook. Hobbs’ guide will show you how the simple act of removing rust from your car will increase its market value. For more useful tips, click on the link below to visit his web site right now.